The Polish EU Presidency recently hosted the second cycle of the EU consultation on youth social mobility, this time focusing on Eastern Europe and the Caucasus area (EECA). 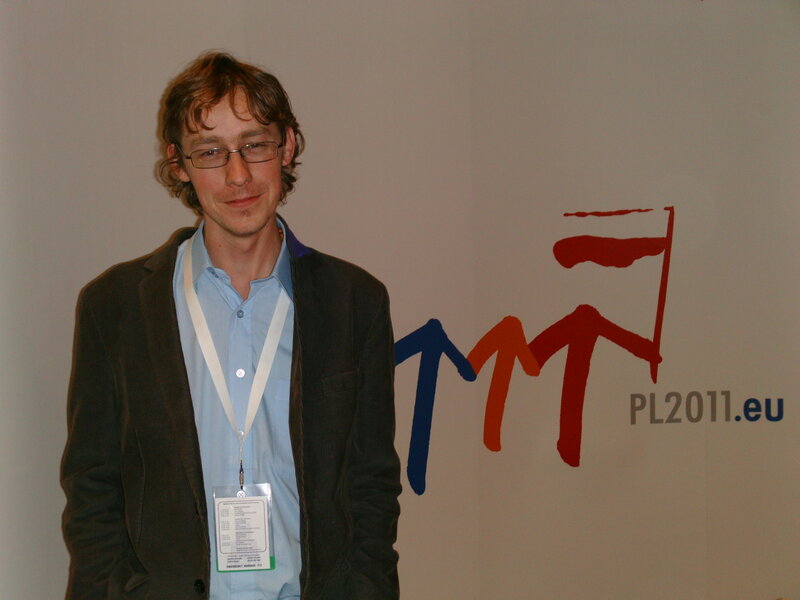 The youth conference took place from 5 until 7 September 2011 in Warsaw, Poland. There were 120 delegates including youth reps from each State’s Youth Councils, Polish Education Ministry representatives and junior ministers, representatives of the National Agencies for Youth In Action programme, candidate countries, EFTA (European Free Trade Alliance) Member States, the European Youth Forum and youth political party organizations (members of the European Youth Forum) like the EFAy, LYMEC, Federation of Young European Greens, etc. The conference was very well structured towards producing a concrete document on the final day which will be submitted to the European Commission with the hope of informing EU policy on Youth Social Mobility. EFAy has a history of supporting a mutual understanding and dialogue between young people from the EU and EU neighbouring countries such as Croatia, Macedonia and Ukraine (as well as Slovenia and Poland before their EU accession). We regularly send representatives to conferences covering issues related to cultural dialogue, youth mobility and cooperation. For example, few years ago EFAy reps participated in a weeklong conference on regionalism and regional co-operation that took place in Slovenia. Also, 6 years ago EFAy reps took part in a social mobility project called “Cycle for Solidarity”. The main recommendations from this year’s EU consultation on youth social mobility concerned the visa restrictions on the people in the EECA to travel and work in other parts of Europe and even attend conferences. As one of the Russian delegates informed us, he had to apply 3 months in advance to get a visa in order to attend the conference. More specifically we hope that there can be a visa-waver for youth workers and volunteers from the EECA transiting into other areas of the EU. Also, that the amount of bureaucracy involved in the visa application process can be reduced and that the Schengen-visa process can be made available online. As the EFAy representative I engaged with as many of the other youth delegates as possible and tried to enlighten them about the struggles that our people face as members of linguistic or cultural minorities and stateless nations. Whilst cementing the ideas that we are here and want to be around the table working with other nations. The experience was extremely positive and I look forward to EFAy sending representation to similar events so that our voices can be heard and our views put forward.